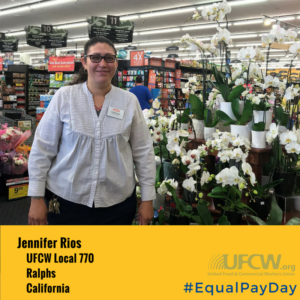 UFCW women spoke out about the benefits of having a union contract on April 10, which marked Equal Pay Day. The month of April symbolizes how far into the year women must work to earn what men earned in the previous year. 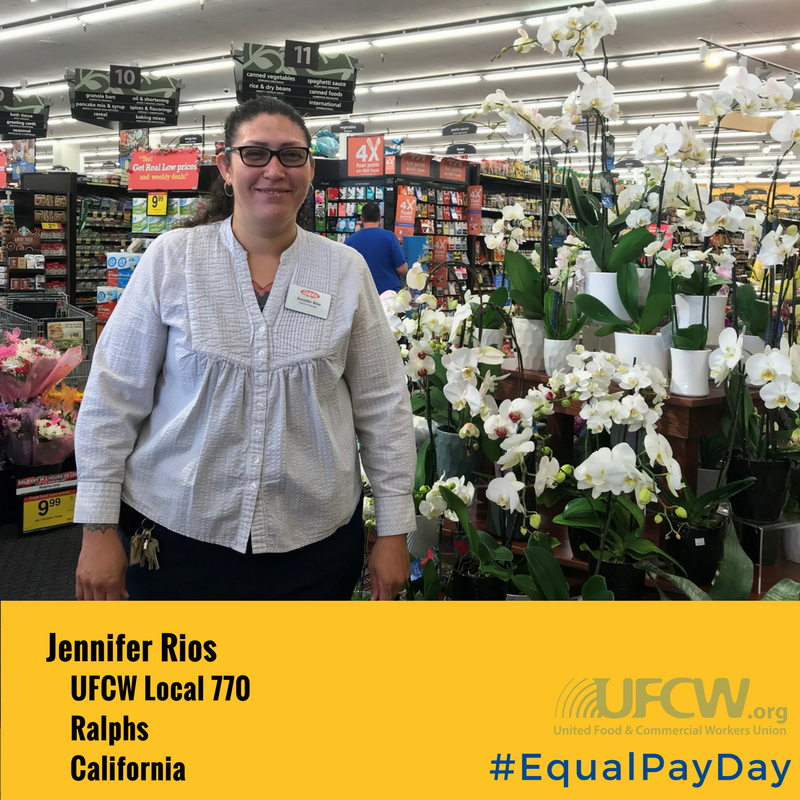 According to the U.S. Census Bureau, women are paid only 80 cents for every dollar a man is paid on a national average. Because women earn less, on average, than men, they must work longer for the same amount of pay. The wage gap is even greater for most women of color. 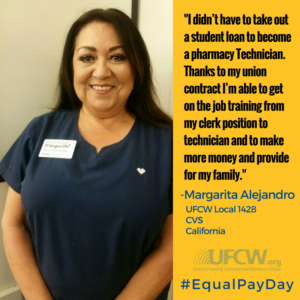 However, being a member of a union helps to close the wage gap. 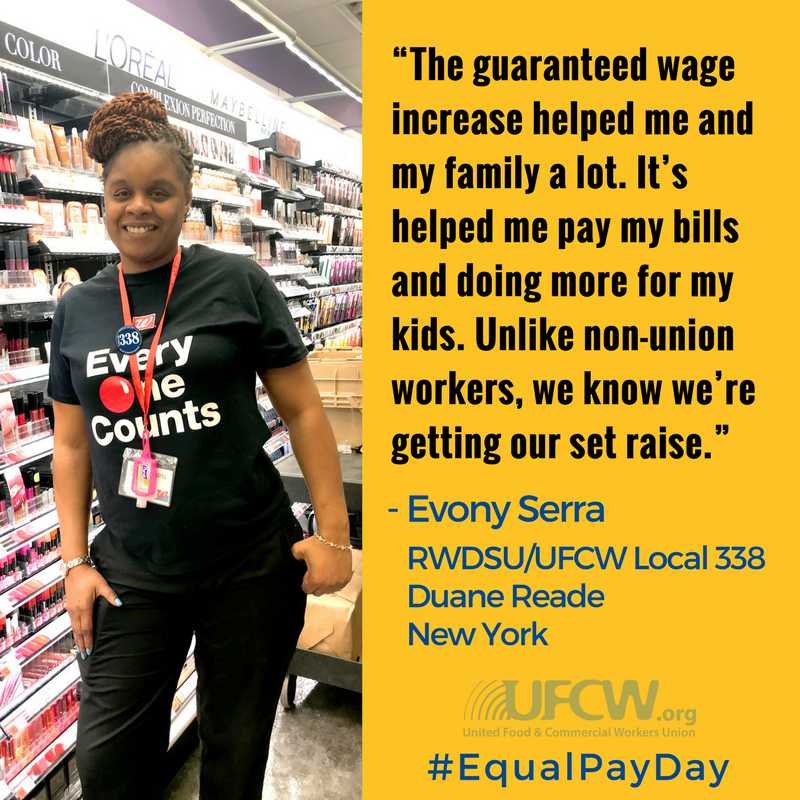 According to the Economic Policy Institute, union women make 87 percent more in total compensation and 56 percent more in wages than their nonunion counterparts in female dominated service positions, such as food service and janitorial services. 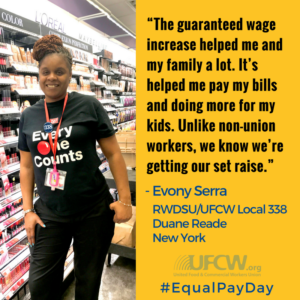 And overall, hourly wages for union women are 9 percent higher on average than for nonunionized women.